meredithpickett: Factory farming is unhealthy for our environment, our health and against what most Americans consider humane treatment of animals. Fidelity should take every action necessary to ensure compliance to the SASB standards from the companies in which they invest. lauren.k.morse: Please ensure compliance! 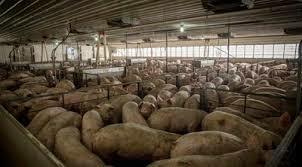 I do not want my investments supporting cruel and irresponsible factory farming. Factory farming is cruel to animals, encourages excessive antibiotic use, creates pollution from fertilizer and pesticide run-off, and creates reputation risk for the companies that engage in it. Agricultural companies can implement more sustainable practices, but only if we know what they actually do. What can’t be measured, can’t be managed. The Sustainability Accounting Standards Board will be finalizing reporting standards for agricultural companies later this year. Companies will have to disclose many of their factory farming agricultural practices, but only if their large shareholders insist on it. As one of the world’s largest money managers, Fidelity should engage with its portfolio companies to ensure robust compliance with the upcoming SASB standards.